On Memorial Day weekend six Greyhounds were received at MGPS from Birmingham, Alabama. MGPS has a wonderful working relationship with one of the racing kennel managers and through his dedication and commitment, six retired racing greyhounds were transported a long distance to Maine (three with recent hock fracture injuries). Our team met the hauler in southern NH. The temperature was in the 80's and rising at 6am. We made a quick assessment as we transferred each dog from the commercial hauler to our transport truck. Although they were a little stressed, we decided it would be best to get them to our facility where we would be fully equipped to handle any medical problems. As we unloaded the dogs at MGPS and led each one into the turnout yard, their stress became more obvious. They were brought into the kennel and triaged. We started taking temperatures and found out very quickly this group was going to be in very serious trouble if they did not receive treatment immediately. Five of the six dogs were found to be in severe to critical condition. Findings of high temperatures, stress response and dehydration required rapid treatment by the MGPS team. As I was the only vet tech on the property at the time, it was certainly a blessing to have Elizabeth Tulip (physician assistant) available on the team. As we cooled the exterior of the dogs, we recognized we needed more hands to deal with this situation. A call was made to Elizabeth's husband Dana Briggs, MD, who was near by. We also contacted Dr Alan Slack (our clinic vet) to discuss our treatment plan. The team worked continuously over an eight hour period of intensive care treatment; giving cold baths, meds, IV lines, blood workups and other vital treatment to stabilize the Greyhounds. They all recovered. The six dogs have continued to adjust well, including the healing progress of three with hock (leg joint) fractures. Long distance travel is a fact of life for the greyhound; starting from birth, pups may be whelped in the mid south, raised in the southeast for a year or so, trained in central US and then transported to their first track anywhere in the country. It's also not uncommon for Greyhounds to move around the country from track to track before retiring. Once retired, the Greyhound is transported again to an area of the US that has room at a placement organization. Long distance transport requires special consideration. 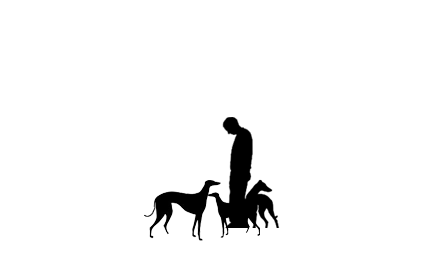 The reality is that some Greyhounds can and do die, whether they are being transported from farm to training, training to track, track to track, or track to placement. A few of the obstacles to overcome in transport are heat exhaustion, stress response, critical hyperthermia and the condition of the hauler's equipment as well as the amount of stops made along the way. 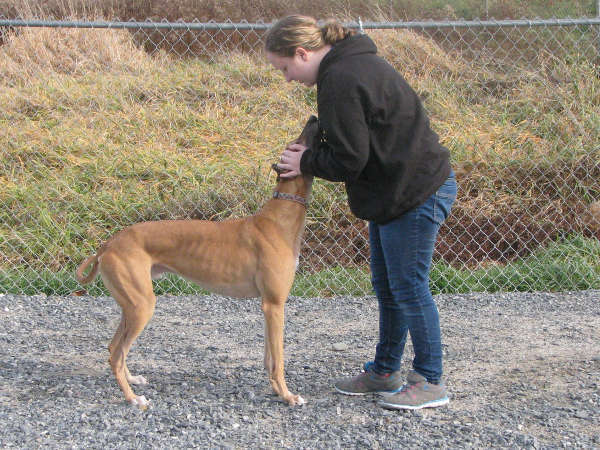 There is true dedication between some racing kennels and adoption groups to safely transport. After all if the people in control of the racing Greyhound did not care about the hounds well being, why bother putting the effort into getting the Greyhound into placement in the first place. Experience with long distance transport has provided MGPS with an approach to immediate care (refer to "Tragedy Sets MGPS into Action", Fall '05 issue of Greyhound Express). In 2005 the MGPS medical team developed a transport pack that consists of pre-shipment vitamins and calming agents to make traveling safer for the dogs. However, we cannot implement our pre-transport protocol unless we have complete control of the journey. On some hauls greyhounds are dropped off while others are being added to the overall load. Mixing sedated greyhounds with those not sedated is not necessarily a good thing, as it puts the medicated dogs at risk of injury. We are now using a very good commercial hauler who transports racing greyhounds as well as hounds heading for adoption centers. The stops are kept to a minimum and his equipment is kept in top-notch shape. MGPS is truly dedicated to safe transport of greyhounds; the logo "Arrive Alive" has even more meaning to our group.